I am a lover of books, music and cookies. 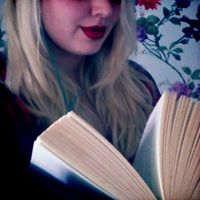 I'm currently at University with the ambition of becoming a Writer and Reviewer (Hopefully specialising in Urban Fantasy). To that end I currently have my first official editing gig, working on a biography on the subject of business, not my usual bag but I'm happy to take what I can get. So I'm calling myself a 'freelance' editor because it sounds much better than 'unpaid'. I also do a little writing of my own, which you can check out on my blog, and I just published my second novel; Warlocks & Warfare, a Grimmer Legacy novel.